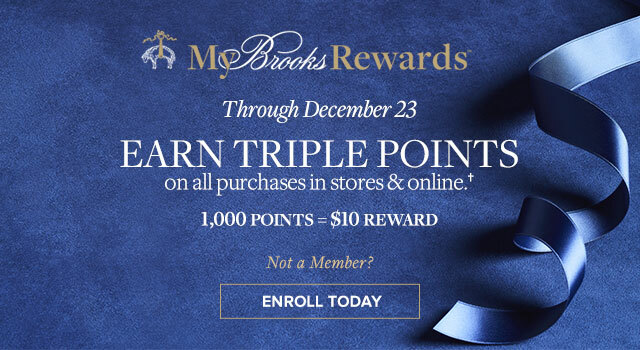 †Triple Points offer valid 12/10/18 – 12/23/18 until 11:59 p.m. ET online and by phone, and until the close of regular business hours in U.S. Brooks Brothers stores. See the My Brooks Rewards Terms for additional details regarding earning points and Rewards.